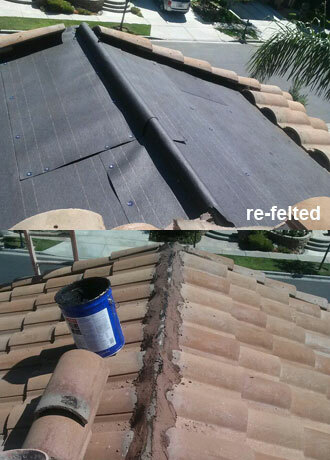 Before: During this roof repair in Laguna Niguel, CA, we were able to pinpoint the source of the leak to the valley above the home's entrance. 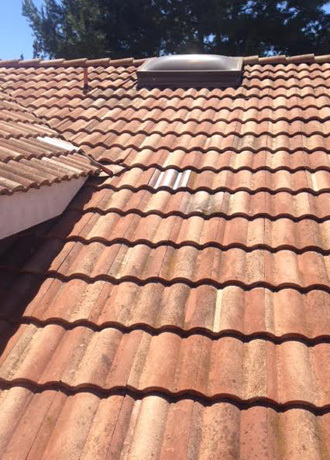 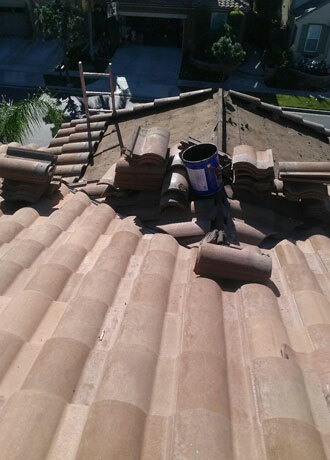 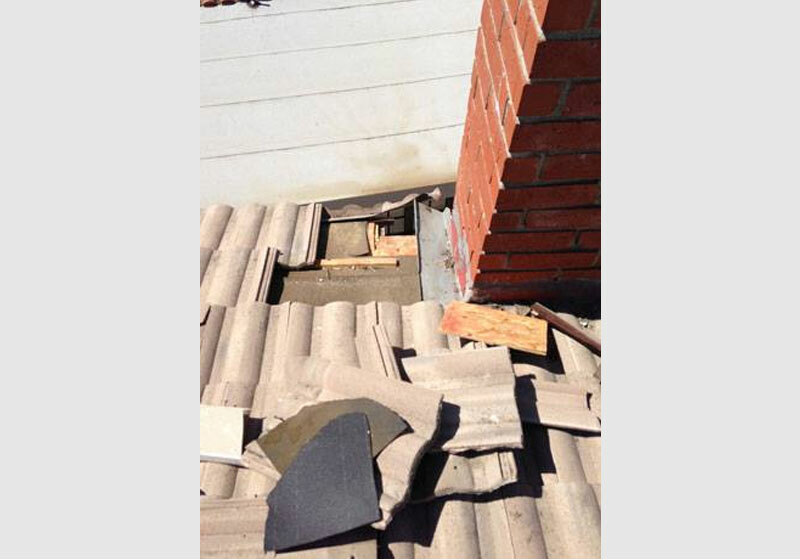 Before: Our roof repair specialists were called to repair a roof leak in Mission Viejo, CA. 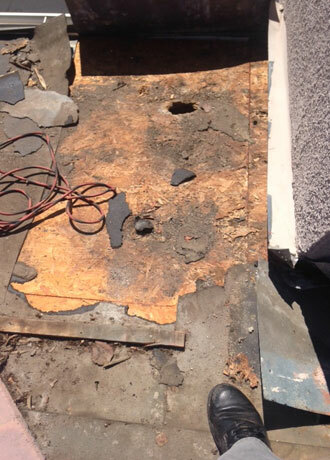 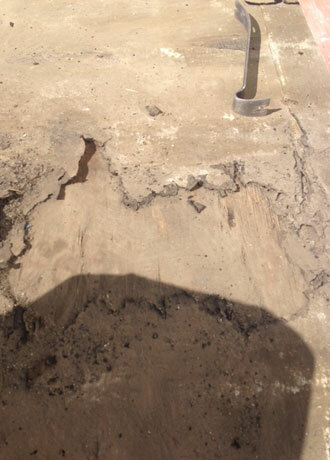 Upon removing the concrete roof tiles we found extremely damaged felt paper that showed signs of major water leakage. 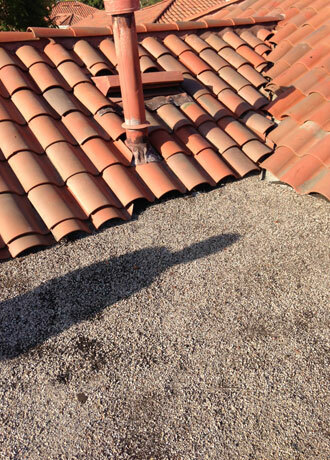 After: Our roof repair experts took less than a day to pinpoint and diagnose the source of the leak, then repair and replace the concrete roof tiles and felting. 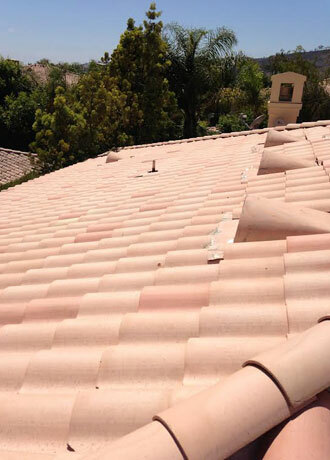 Upon project completion the roof was leak-free and protected against weather and water damage. 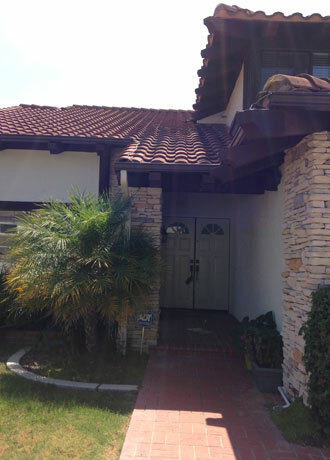 Before: During this residential roof repair in Mission Viejo, CA, we replaced the roof's fascia boards (wooden trim around roof's perimeter) which had been damaged by dry rot and termites. 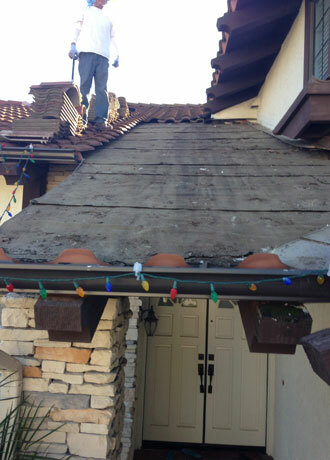 After removing the roof's damaged fascia boards, we primed and painted new boards, carefully placed and nailed them back onto the roof, added new felt paper, and put the concrete tiles back into their proper position. 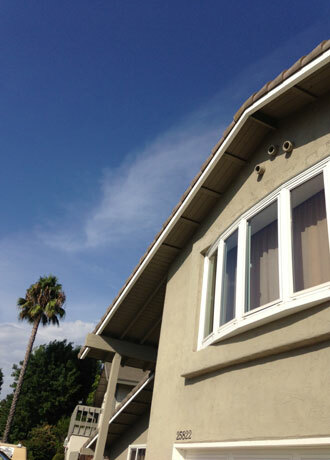 After: This residential roof repair in Mission Viejo, CA features expertly installed, primed and painted wooden fascia boards that will protect the roof from water damage, weathering, termites, rot, and more. 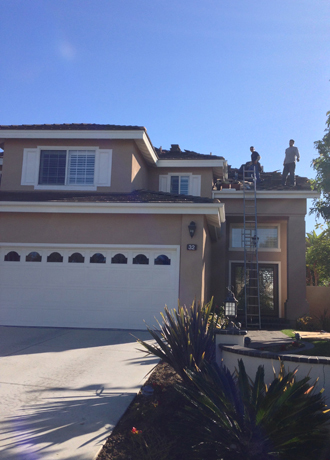 Before: This residential roof repair job in Rancho Santa Margarita, CA required us to fix a leak in a flat roof. 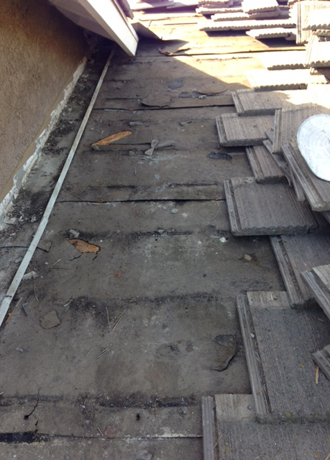 After a close inspection of the roof, we discovered a leak in the flat roof area as well as incorrect positioning of the concrete tiles on the pitched area of the roof. 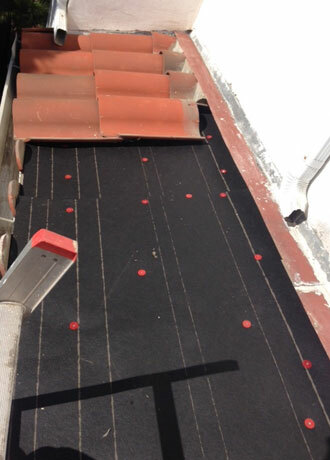 To fix the pitched roof tiles, we lifted up the concrete tiles, then re-felted and sealed the flashings. 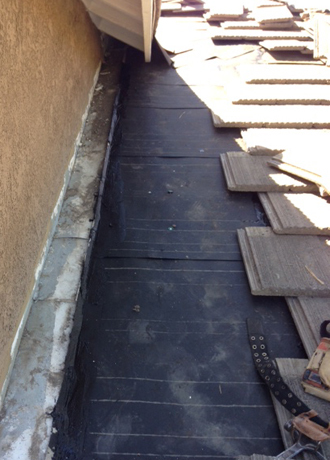 To fix the flat roof leak, we removed the loose rock, then prepared the roof to add a new torch patch. 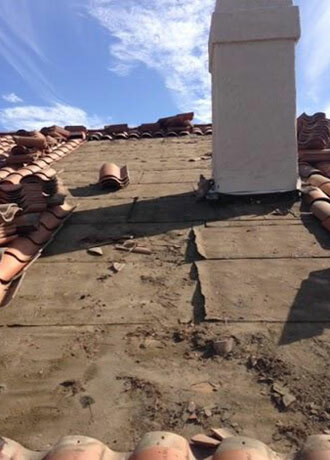 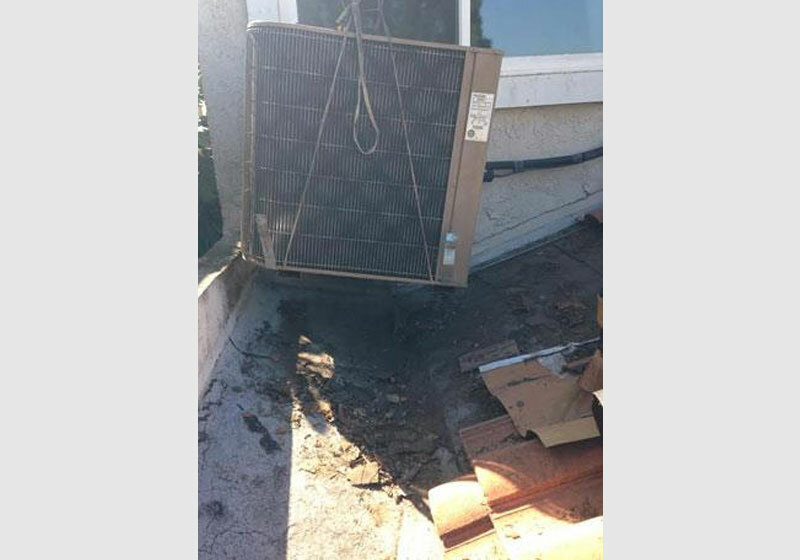 Before: This roof leak in Laguna Niguel, CA is an example of what can happen after several rainy seasons without proper roof inspection. 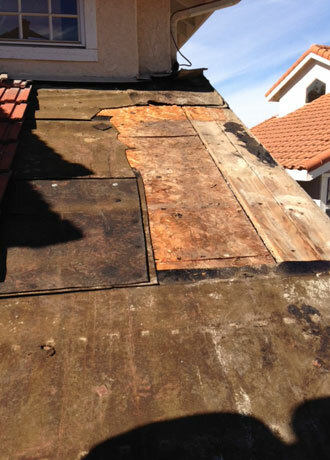 We were able to successfully pinpoint and repair the leak, however, the extent of the damage was much more costly than if the owner had chosen to call us at the first sign of the leakage. 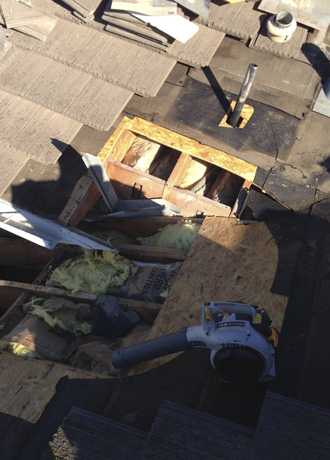 It's important to take care of minor roof leaks so they don't become major leaks and cause extreme damage to your home. 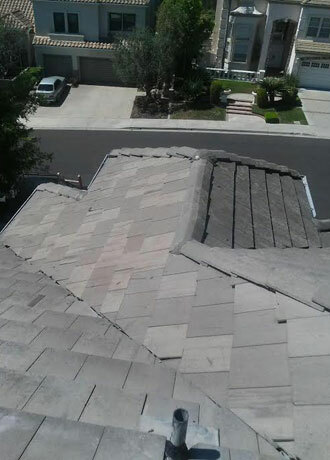 After: After a quick and thorough diagnosis, our roofers pinpointed the source of the leak to the valley area of the roof. 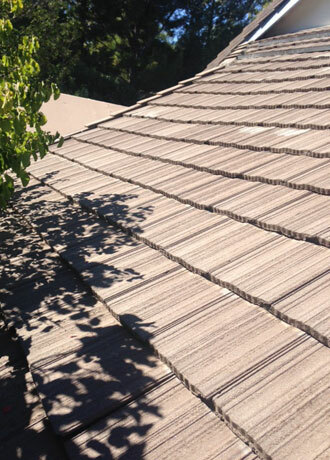 After carefully replacing the plywood sheathing, adding new felting, and re-installing the roof tiles, the roof of this Laguna Niguel home is now leak-free and protected against further leak damage. 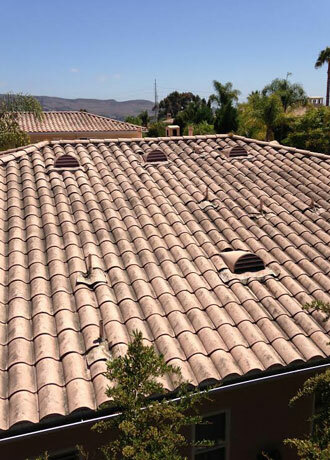 Before: We were called out to this roof repair in Laguna Niguel, CA to repair multiple leaks in the valley of the roof as well as below the roof's sky light. 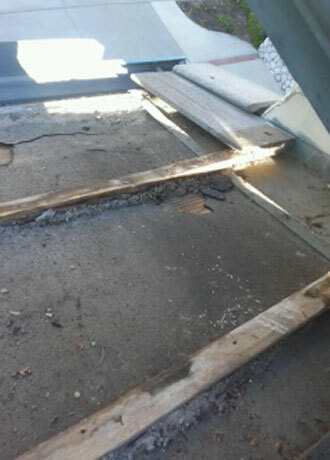 The damaged roof valleys were causing leaking in the living room of the home. 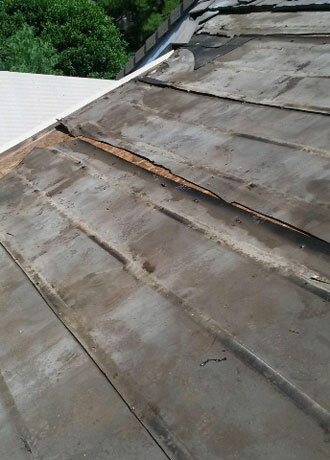 After: We removed and replaced the damaged flashing from the roof valleys so that the roof was leak-free, then thoroughly cleaned the roof valleys of excess dirt and debris, which can cause leakage over time. 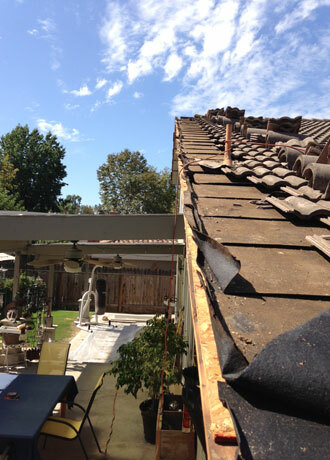 Before: This is a roof repair in Lake Forest, CA. 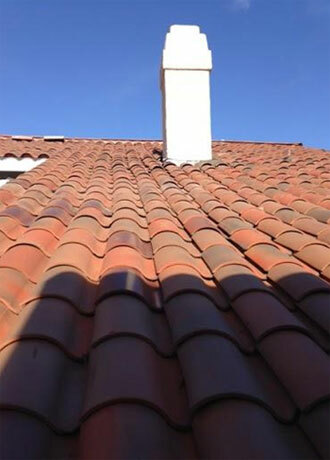 Our roof repair specialists inspected the tile roof and pinpointed the location of the leak at the chimney. 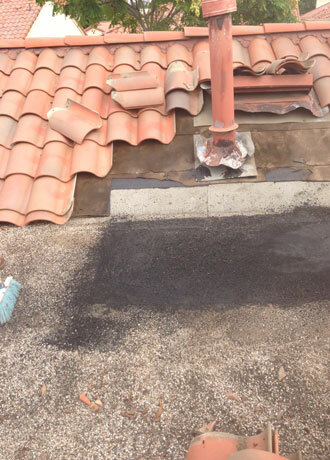 After a thorough inspection we found the cause of the leak was due to the roof's flashing (the material that weatherproofs the roof) around the chimney was blocked by dirt and debris allowing rainwater runoff to get under the tiles, and destroyed the underlayment (felt paper) under the tiles. 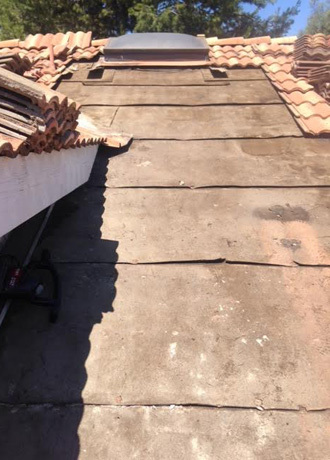 After: To repair the roof leak, our roofers carefully reset the flashing, felt and tiles while allowing enough room for any dirt and debris to pass through. 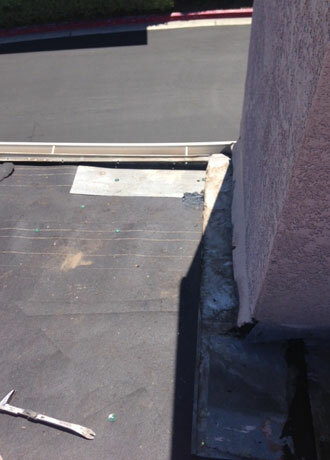 To prevent another blockage from occurring, we created enough room in the flashing to allow rainwater to runoff. 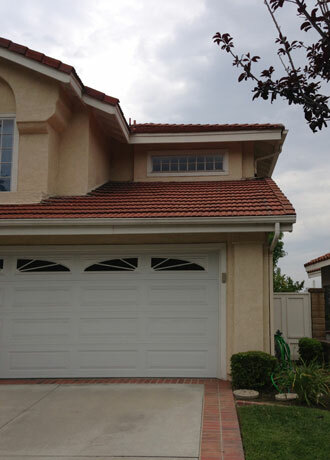 Upon completion, the roof was leak-free and protected against weather and water damage.